There is much effort in the daylily hybridizing world working toward various patterns in daylilies. 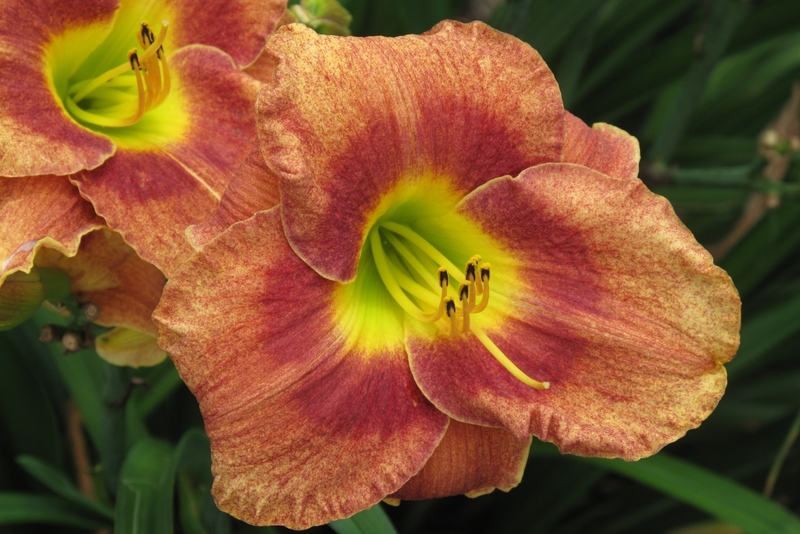 Several hybridizers are working toward spotted or stippled daylilies with 'Spots Before My Eyes' showing some of the most advanced success in the area. Described by the hybridizer as a peach self overlaid with fine burgundy speckles with a more densely stippled burgundy eye and green throat. 'Spots Before My Eyes' is one of the most unusual daylilies in our garden and draws much attention to itself because of the stippling. Definitely a standout daylily.